As far as I can remember, my family get-togethers have always revolved around food – and much more often at home than in restaurants outside. The more important the occasion or celebration meant there were more people and food involved. Cuisine clearly unites people and I think that eating with your close ones on a regular basis tends to strengthen the bonds, especially when it revolves around home cooked meals. Likewise, house parties and dinner parties are often fantastic events to interact with others and make new connections. At EatWith they clearly know the value of being a good host and the potential of home dinning, in fact their vision is “bringing the world together one meal at a time”. They sort of work as an “airbnb of food”: each user has their public profile with information about themselves and hosts offer meals at their homes by publishing the details and photos at the EatWith website. Guests can see all the info regarding different meals as well as high quality photos, location amenities, ratings and reviews by previous guests. During all the time guests and the host can exchange messages perhaps to get to know each other a little bit or discuss issues such as menu preferences. Guests may request a meal through the website, but the host has the final say in whether accepting the request or not. Payments are processed through the platform and EatWith keeps 15% of each transaction. 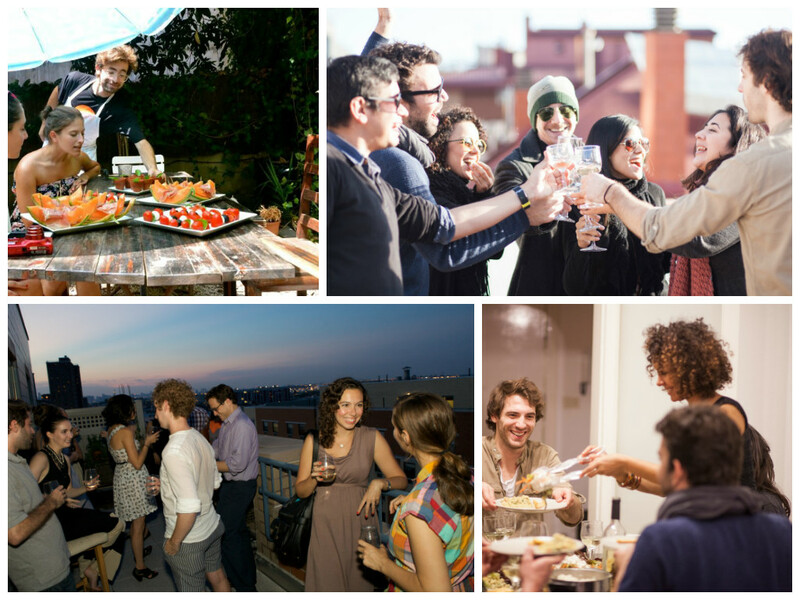 The above simply describes how EatWith works from the “online side”, but the true value of this concept is offline – when people meet at the different events. There’s a clear social aspect here and EatWith gatherings tend to involve a mixture of tourists and locals (around 50%-50% ratio) and people from all age groups – which is quite a surprise since initially you would expect guests to be mainly tourists in their 20s or 30s. The truth is that travellers use EatWith to enjoy an authentic local experience, interact with locals and perhaps get suggestions from them, whereas locals are looking to relish a nice meal, have a good time and make new contacts. As I was discussing with Joel Serra, EatWith Country Manager in Spain and an active host, he highlighted that “as well as good meals, at EatWith we offer experiences, you may go to as many beautiful places in different cities (museums, cathedrals, theatres, bars, restaurants, etc) – but nothing can compare to the experience of having locals opening the door to their own home, welcoming you and hosting you nicely for a few hours with a fine meal and good company involved”. In fact, even though hosts can set the length of each occasion, Joel assured that “sometimes EatWith dinners have gone on till 2am-3am or more, people (including the host, of course) were having such a good time that it just went on” and “some people that meet through EatWith become good friends and keep in touch”. It’s essential for these marketplaces to assure an excellent standard in terms of the experiences that they offer. Eatwith therefore carefully selects their hosts according to their cooking skills, hosting space and personal character. 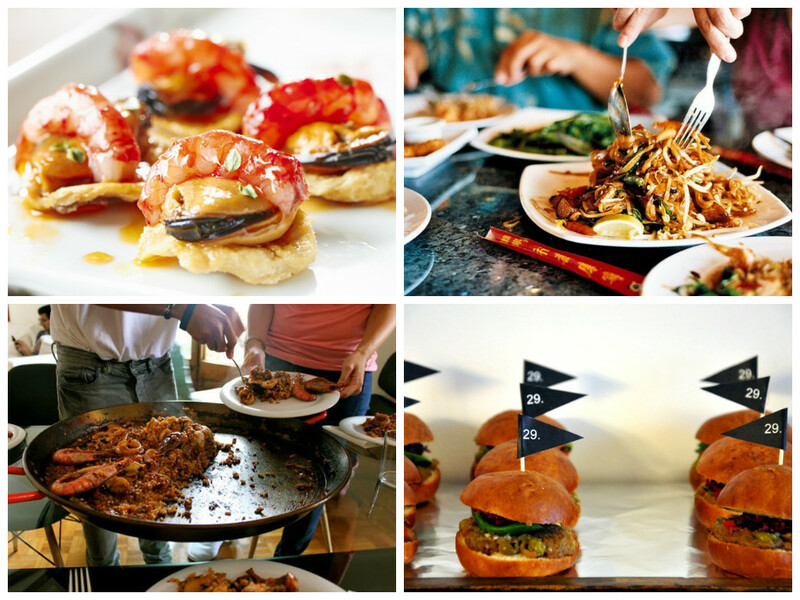 They do so through quite a demanding screening process where hosts firstly apply with their proposed menu and answer several questions, then a member of the EatWith team goes to their house to interview the host, take professional standard photos and verify the food quality and overall experience to be offered in order to determine whether the person is suitable. Once selected, the host still keeps in touch and works very closely with the EatWith team and the community as a whole. This idea as such isn’t new; in fact there are several other startups around the world with the same concept. Some of them include: Social Eaters, Dinewithlocals, Eat with a local, Eatmyworld, Withlocals, Mealsharing, Shareyourmeal, Bookalocal and Cookening. Although a number of these have been around for a slight longer time or might have a bigger presence in some countries, on a global scale EatWith seems to be currently ahead. This is probably thanks to a combination of several strengths: a selective screening process for hosts, attractive web-design, high quality photos, good marketing, having third party insurance coverage of up to $1M in case of an accident (at present only in Israel and Spain) and effective community building online and offline. 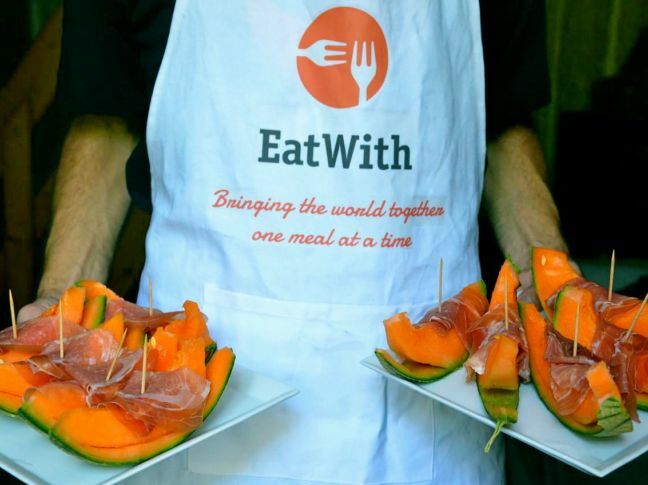 EatWith started in Israel in 2012 and they developed their platform further after raising about $1.2M from investors that same year, by January 2013 they also established in Barcelona (Spain). Both places have been successful, and during the course of 2013 they have gone through further global expansion. As they grow, EatWith are also learning about tastes and preferences worldwide. For instance, experiences in Israel revolve more around the local culture, whereas in Barcelona the emphasis tends to be more on the social side and in New York City the focus is primarily on the food. However, scaling isn’t easy for this type of marketplace and EatWith often have to rely on “brand ambassadors” (usually independent food bloggers with a genuine interest in the concept) to verify potential hosts. Today EatWith is present in 20 countries, but their challenge is to expand further within these countries and across the world. “Our target market is the whole world, the aim to have Eatwith hosts in any city or town around the globe” – stated Joel Serra. Surely this would make travelling even more interesting. Thanks for your feedback! Just wanted to add the link from TechCrunch that went public today – EatWith managed to raise $8M in funding. Great post Kunal, I totally agree with the concept! Im glad you introduced me to EatWith, they’ve got a fan right here!